Inspired by some Urban Street Art in Blackpool and a wonderful poem by William Blake, I created this Tiger art journal page (grin!). I started by mixing some Liquitex acrylic paints to produce an orange and dark purple colour and along with some yellow Liquitex acrylic I stippled them onto the page using a paintbrush; as this is a high density acrylic this produced some lovely texture. They are applied so that purple was at the top of the page, orange in the middle and yellow at the bottom to give an ombré effect that matched some of the street art we had seen. To intensify the colours and give more of a spray effect, I applied purple, orange and yellow Brusho Powders over the top of the acrylics and spritzed with water, watching the colours burst on the page and whilst they were blending I used my heat gun to dry them. Next I drew a border around the page using a black Derwent Graphic marker and stamped some hexagonal shapes so they flowed vertically on the page using black Archival Ink. The tiger is fussy cut from an old book of poems that I purchased from a charity shop (thrift store) and is stuck onto the page using a UHU Stic. I used some recycled black paper and also the leftovers from the tiger image to create leaves using Tim Holtz Garden Greens thinlets and my Big Shot machine. They are held in place with sewing machine stitching along each of the main stems which was fun technique to try considering my page is attached within a book (grin!). Next I added yellow, orange and black beads using Glossy Accents and then cut the title, first verse and author of the poem from the same book as the tiger image. The poem is called The Tyger and is by William Blake, the verse reads: “Tyger! Tyger! burning bright in the forests of the night, what immortal hand or eye, dare frame thy fearful symmetry?”. I cut them out in an abstract pattern to match the page design, edged them all with black Faber-Castell marker and stuck them in place using a UHU Stic. To finish, I added more detail with a white Uniball gel pen and black Derwent Graphic marker which included some white dots in the centre of the larger hexagonal shapes and also some faux stitching around the border. Blackpool has some amazing Urban Street Art and this is the fabulous tiger than inspired my page, you can see the ombre effect and of course the majestic tiger. This was created by Otto Schade when he took part in the 2016 Sand, Sea and Spray Festival in Blackpool. There are a number of other artworks in the same area . This mural just around the corner and it was created at the same 2016 festival and is a self-portrait based collaboration of Bane & Pest (also known as the Color Nomads) and Smile1. I hope you enjoyed seeing some of the urban street art in Blackpool, there are still others to see which I’ll be sure to share, as I find that they are such wonderful inspiration for my art journal pages (grin!). 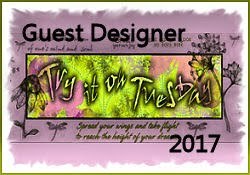 With the leaves and tiger that I included on this page, I’m joining the Flora and Fauna challenge over at Art Journal Journey that I’m hosting this month. I hope you are inspired to join us, it would be lovely to see you there! 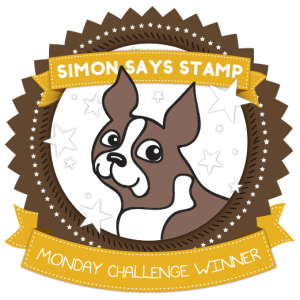 I’m joining Simon Says Stamp Monday Challenge and their Ombré challenge with my brightly coloured ombré background. I’m pleased to join the lovely Tracey and the rest of the DT over at That’s Crafty! Challenges for their A Stitch in Time challenge as I used both machine and faux stitching on my page. 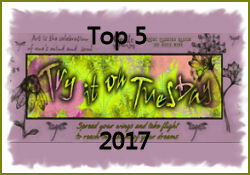 I’m joining in the fun over at Simon Says Stamp Wednesday Challenge and their For the Boys challenge with my William Blake inspired art journal page. 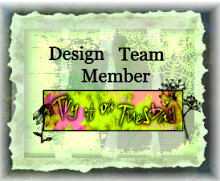 As I used die cuts to create the leaves on my page, I’m also reminding you of our Stencil, Die Cuts or Both theme over at Try it on Tuesday which runs until Monday/tomorrow evening and be sure to check out our fun new challenge on Tuesday!